Philadelphia, one of the largest cities in the United States, is home to winning signs and graphics. Vintage signs, neon signs, modern signs – you name the variety, and you’ll find it here. Not only does Philly have a great variety of signs, but the city has some of the most iconic signs of all time. We’ve put together a list of the most iconic signs in Philadelphia for all you design and history buffs. Read on to find out more. While certainly this piece is considered a sculpture and not a necessarily a “sign” by the art world, we think it can be both. Designed by Robert Indiana as a sculpture, this reproduction piece serves to tell visitors that they have arrived at Love Park. It also alludes to a bit of the city’s history. 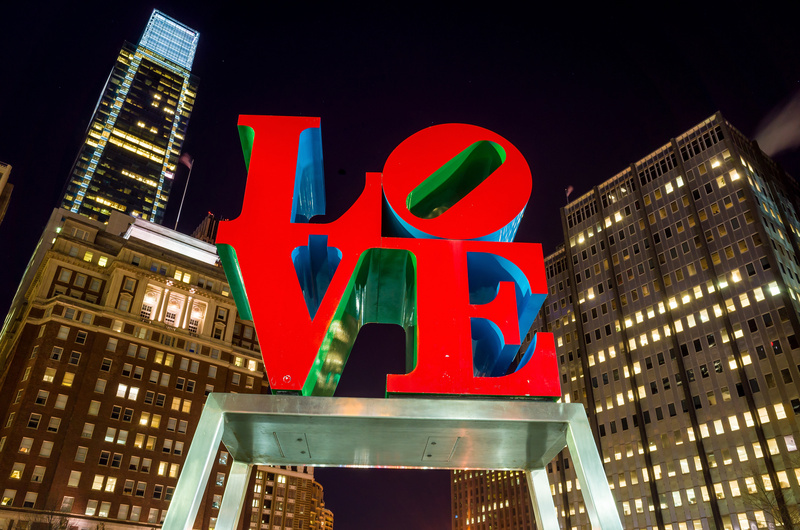 In fact, Philadelphia’s knickname of “City of Brotherly Love” has its origins in something much deeper than the famous park which houses this magnificent reproduction of the famous statue known as the Love Statue. The name Philadelphia actually comes from the Greek word philos, which means “love” or “friendship”, and adelphos which means “brother“. Philadelphia was named by Pennsylvania founder William Penn who had a very specific reason for founding the city with so much love. Penn had witnessed and experienced so much religious persecution that he designed his new colony to be one where all religions could co-exist freely and equally. This statuesque sign is not only a sign of where in the city one is, it’s a monument to the city name and it’s characteristic friendliness itself. 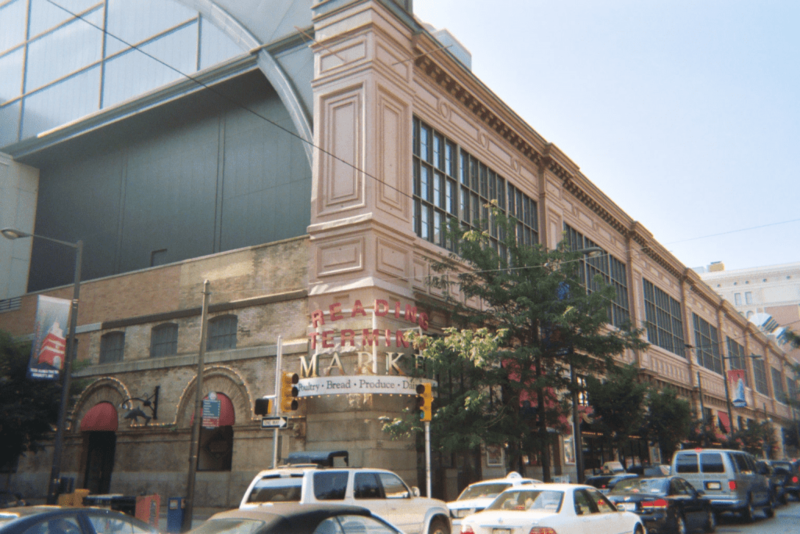 Reading Terminal Market is one of the nations most famous and revered urban marketplaces. Open since 1893- yes you read that correctly, over a century ago!-this market has been housed in the same place, the former Reading Terminal Train Station which is now a National Historic Landmark Building. Packed to the gills at lunchtime and busy even in the off hours, Reading Terminal offers its patrons a wide variety of excellent fare at excellent prices. One look at the carefully crafted sign that curves around the market corner and you’ll be in love with it’s obvious craftsmanship and seeming simplicity. This sign just perfectly complements the building’s historic atmosphere. Nothing says Philadelphia more than a cheeseteak. Everyone knows that cheesesteaks are the most stapled and favorite cuisine of Philadelphia. Stopping by Geno’s Steaks on Passayunk ave is one of the most time- honored traditions in the city. 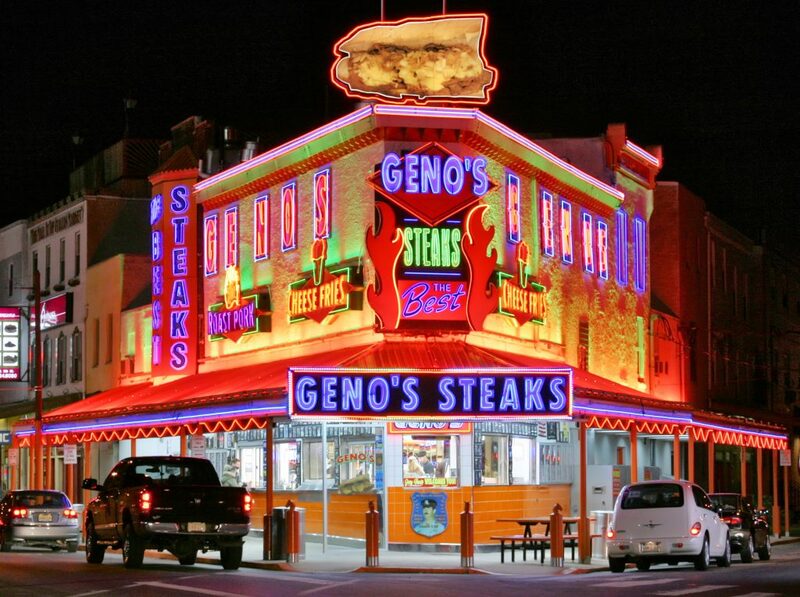 Whether it’s 2 pm or 2 am, you can count on Geno’s to be open and serving up this classic fare. Night time is best for viewing the multiple neon boards decorating the exterior of Geno’s. These signs are some of the most vibrant and beautiful signs in Philadelphia, a sight and experience not to be missed. We highly recommend catching a buzz first, and then going to see what this buzz is all about. 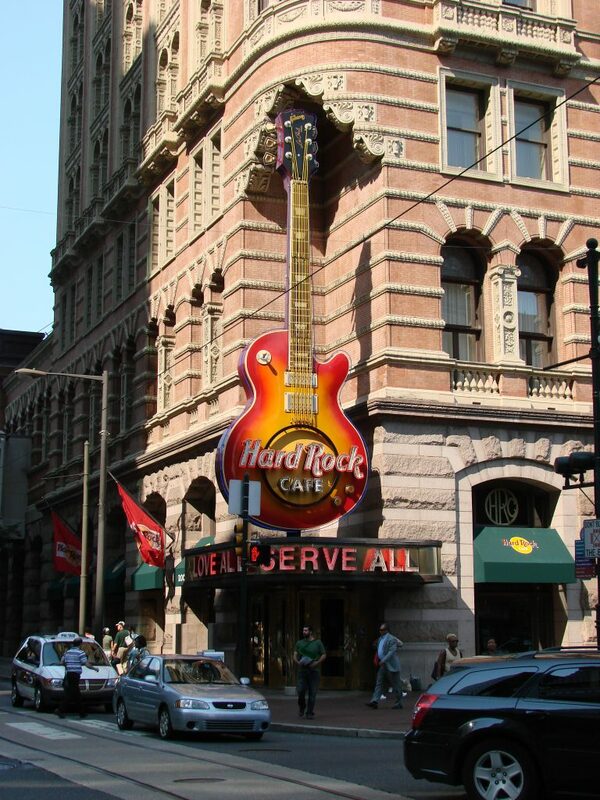 Now we know that the Hard Rock Cafe is not exclusive to Philadelphia. In fact, we normally would never think to include a chain restaurant in a review of uniqueness. However, the beauty of the Hard Rock Sign cannot be denied. In fact, many people do not realize that the artist who designed the Hard Rock logo itself, Alan Aldridge, also created a plethora of art in teh 60’s and 70’s ranging from book covers to album covers. He was asked to model the Hard Rock logo after the Chevrolet logo, which he did amazingly well in a simple way that speaks to the era of rock in roll in which his work and this music genre thrived. The spinning Hard Rock guitar on Market Street is a giant tribute to the brand and artist and pretty tough to ignore. 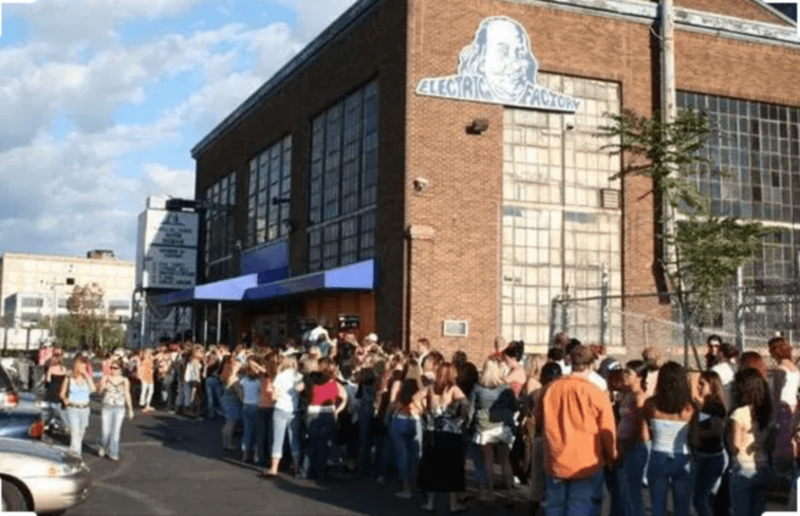 The sign at the Electric Factory, installed on an ancient water tower is a mix of creativity and quirkiness. From a distance, it looks like a 3D sign looking toward the south and pointing to the east direction. The signboard is made of two simple colors – white and blue. Visitors and locals visit the signboard to click pictures. One of the coolest things about Philadelphia street signs is that they are everywhere. 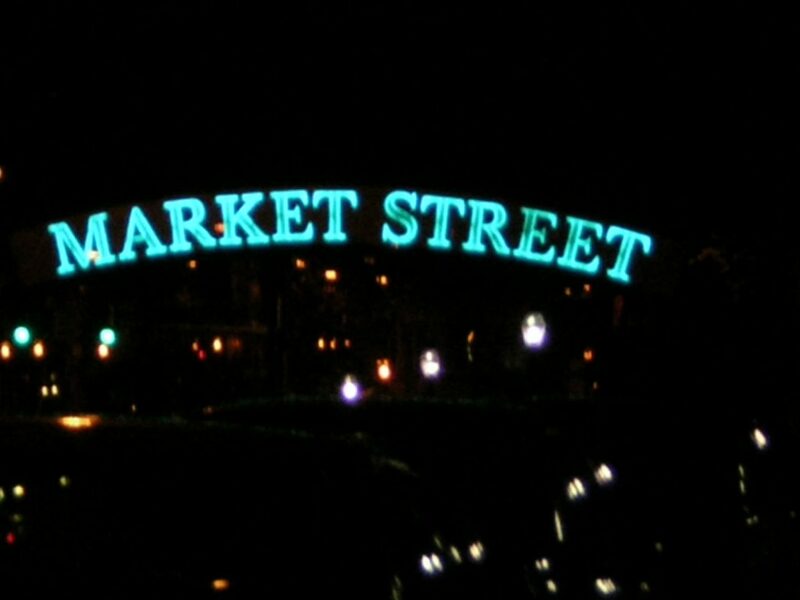 Penn’s Landing and Market Street both have these neat over the street arch signs that light up and show passers by how to get from Penn’s Landing to Old City and vice-versa. These signs are a pretty awesome sight when the sun goes down and the lights come out late at night. Yet another National Historic Landmark is the PSFS building. Built in 1932, it was the nation’s first modern skycraper. At the very top of this monument sit 2 sets of 26′ tall neon letters displaying the the initials of the building’s owner, the Philadelphia Saving Fund Society (PSFS). 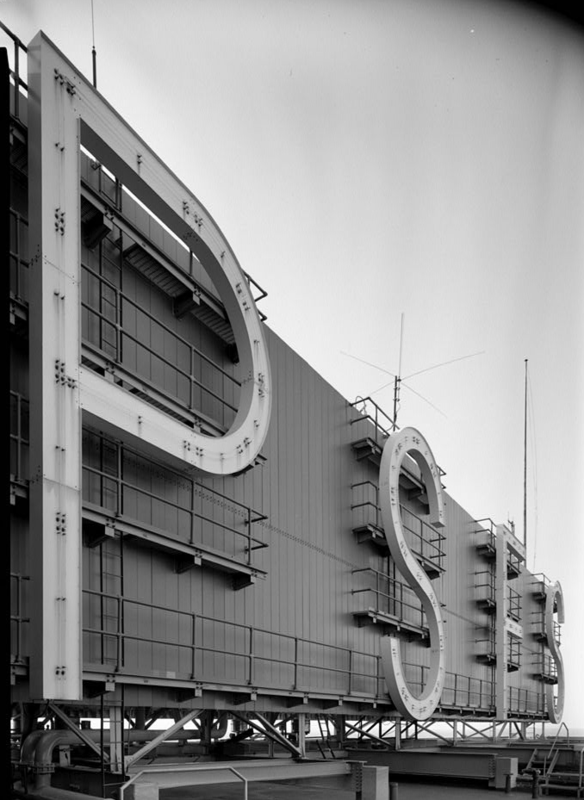 While the average Philadelphian probably doesn’t know what PSFS stands for, they for sure know where this sign is in the skyline and how much history it represents. 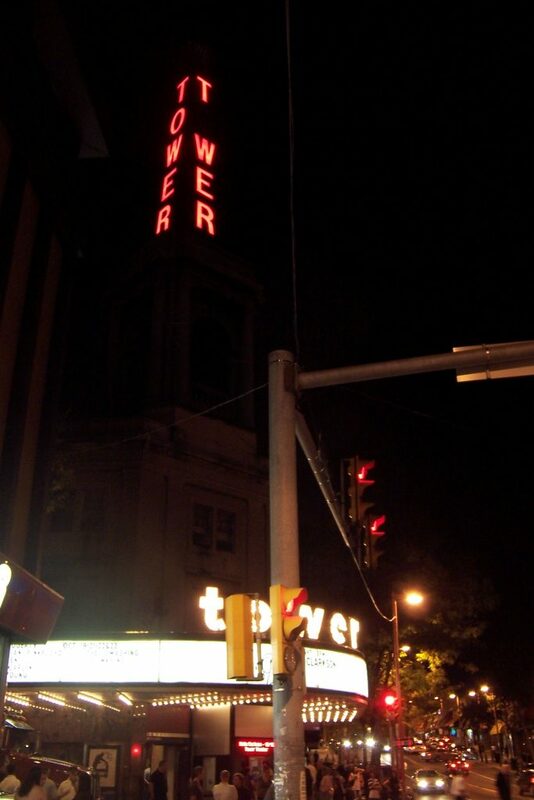 Built in 1927 and located just West of Philadelphia in Upper Darby, the majestic Tower Theater physically towers over its surroundings. This iconic sign includes a literal tower of neon letters leading the eyes downward towards a beautiful curving signboard of the old traditional theater style, complete with removable letters. This beauty calls patrons to the famous theater night after night, signifying it’s historic significance as a music venue and recording hall for some of rock and roll’s most famous musicians and bands. As you can see from our synopsis above, Philadelphia is home to some of the world’s most iconic signs. Next time you get the chance to tour the city and take a look around, you may want to take notice of the beauty of these signs and many others that line the streets and buildings. If you have a business in or near Philadelphia and want to create your own epic sign, Philadelphia Signs and Awnings can help you do just that. From designing custom graphics for your brand to manufacturing and installing your sign, we handle all aspects of the process. It’s time for your business to get noticed! Call us today at 215-783-0956 to discuss your custom sign or custom awning or fill out a form online by clicking the button below.